If you have read my first book you will know who I am. For those who missed it, I wrote and shared, for Free ‘The Truth About Hair Loss’. I am a Trichologist, Trichology is the study and science of the hair and scalp. I have been in the hair industry for 30 years and 20 of those years as a certified, qualified hair and scalp specialist. My personal experience with hair loss and the information I’ve learnt, is what I want to share in my second book. The study of Trichology is not simple. 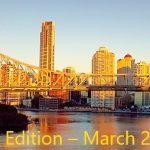 It is a science, and to remember and absorb the elements required to understand and complete such a course, one should have not only an interest but a passion. When I studied and qualified as a Trichologist I was in my early-mid 20’s, the untouchable age. Meaning, we did not think the world would have any impact on our health, regardless of our knowledge. I understood the science, it was quite simple for me. I was a young, new Trichologist, wanting to help people with hair loss, hair thinning and scalp conditions, and what I began to slowly realize was, the science helped me to uncover the potential problem, but there were limited treatment options available. 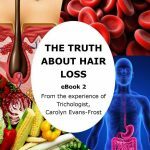 To request a copy of Free eBook 2 – The Truth About Hair Loss by Absolique Trichologist, and read more about my story, journey, hair loss, hair thinning, the hair cycle, pattern hair thinning, alopecia, autoimmune, cellular health, digestion and absorption and much more, email reception@absolique.com.au to get a free copy of my eBook 2.